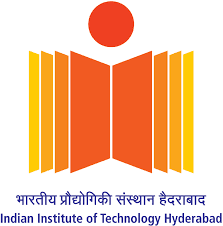 A position of Project Associate (with emolument of INR 20,000 per month, without HRA) for 1 years is available in the Department of Chemical Engineering Engineering, IIT Hyderabad to work on a DST sponsored project (No.SB/ ECR/2017/000241) titled 'Semi-Pilot Scale Production of Lipase by Solid State Fermentation (SSF) for Transesterification of Biodiesel Analysis'. M.Sc. in (Industrial biotechnology) with 65% and excellent knowledge in the areas of Enzyme engineering, upstream and downstream processing, invitro and analytical studies. The upper age limit will be 28/30 years for JRF position as on the day on which the application is made. The upper age limit is relaxable up to 5 years in the case of candidates belonging to scheduled castes/tribes/OBC, and women, and physically handicapped candidates.